This week, plans were announced to make what the Chicago Tribune called “enhancements” to Chicago’s Union Station. Rethinking Union Station is a good thing (for reasons I’ll unpack in a minute), but it’s also made me think about another Union Station. 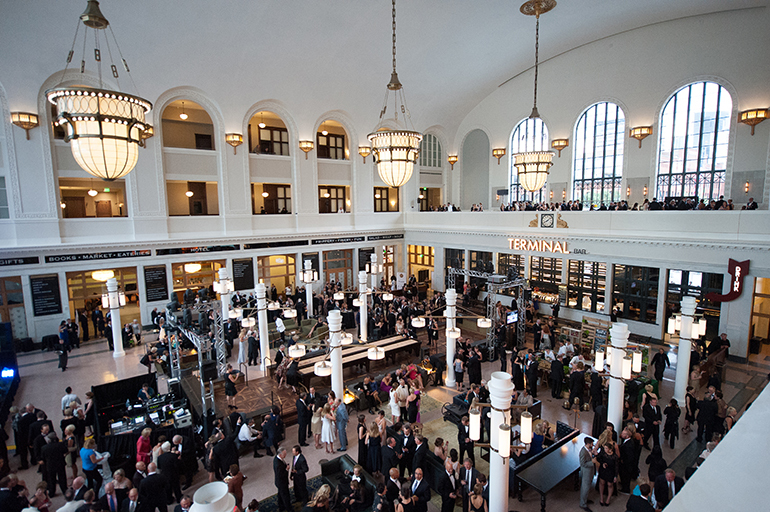 Denver just reopened its Union Station after a substantial renovation. 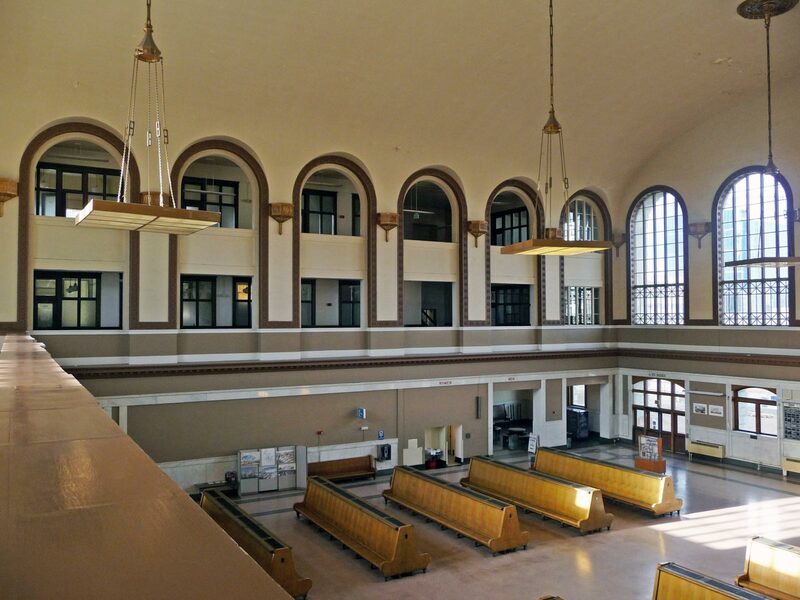 The site, which has been an Amtrak station for years, was redesigned to be several things in addition to an Amtrak station. It’s now a larger hub for many of Denver’s transit lines, both rail and bus. It’s also been designed to be a meeting place for people. When my partner and I visited Denver a few weeks ago, we stayed at that hotel (The Crawford). The new Union Station featured a wide array of restaurants, cafes and stores. A few coffeehouses, a bookstore and a great breakfast spot were among the choices. It was great to have those choices at a hotel (versus the usual drab hotel fare), but it’s all adds to the larger idea that this is a gathering spot – a public space that’s filled with activity. The furniture in the station lobby reflected that – some tables and chairs, some sofas, a few benches, even a shuffleboard. And still plenty of room for the official Amtrak waiting area at one end of the station. And the fountain on the outside of the station, where so many people were eating al fresco, also underscored that element. Adjacent to the station itself was access to several transit lines and hundreds of buses, all through a weather-protected transit station. The rail lines sit above ground while buses arrive and depart through a long series of gates below ground. Despite the underground factor, the station was filled with light, clean, and well-organized (no clusters of traffic). My partner and I took a bus from that spot to return to the airport. 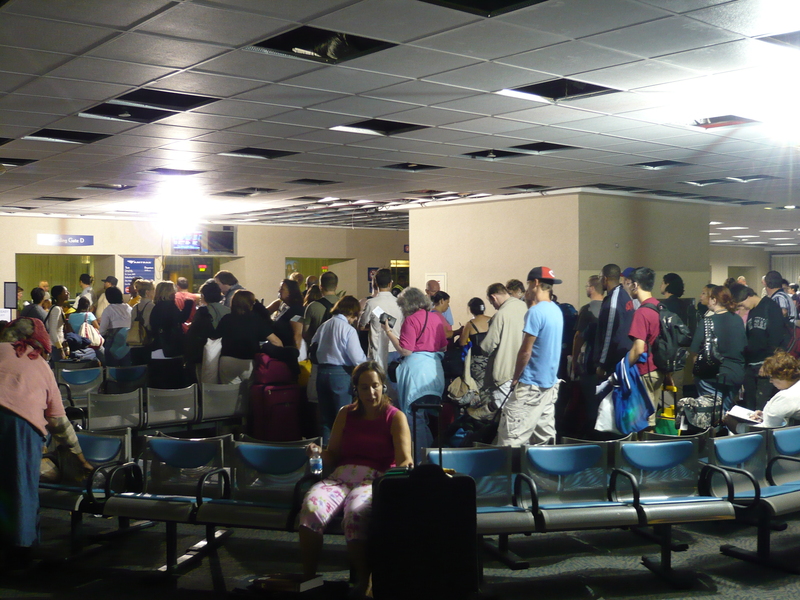 It was easy and convenient — and a third of the price of the cab we took from the airport to the hotel. And even that will be made simpler in a year or so, when a new transit line from the station to the airport opens. Of course, Denver is building its light rail capacities and starting from square one in some of these areas, so it’s much easier to plan (and plan well) from the start. Chicago’s Union Station has been a victim of the years, of different plans and different ideas that don’t play well together. Both the Amtrak and Metra areas are in long corridors that can become human sardine cans if trains are late or cancelled. There’s no flow to either area — Amtrak’s main gate area, waiting rooms and ticket area is, in particular, an odd series of segmented boxes with no rhyme or reason). And that’s just in the station itself. One of the biggest headaches about Chicago’s Union Station is how to get there, and how people flow around the building above ground. The entrances may be familiar for people who take the Metra every day, but there is no real “front door” of the station. Car traffic clutters the streets around the station, often blocking intersections, and the Megabus stop a block away has added to that confusion. While two transit lines (the CTA Blue and Green Clinton stops) are not far away, there’s no clear sign, markings or pathway on how to connect between the station and the CTA stops. (1) Outside, plans should designate a few streets around the station to be buses and cabs only. (One is now, but it’s poorly enforced.) Nabbing a space to create a car passenger drop off area – complete with actual space to pull off of the street – would be ideal. This space could be combined with the curb where Megabus stops, so that traffic flows more sensibly. Mark all of those things very clearly, so drivers understand where to go. (2) Develop a more clear marking system at entrances for what sits where, and what can be accessed from that entrance. As it stands now, it appears that Amtrak and Metra have put up signs of their own in haphazard places. A general Union Station signage plan should mark entrances, the services inside, and other things (like ATMs, ticketing services, and so on). (3) Think of a better use for the great room area. How can this be used to alleviate crowding? Are the retail outlets currently in Union Station a good mix, or can they be updated? The Tribune article talks about some aspects of these ideas, mainly about CTA buses around the station. That’s a great start, but Megabus is a part of the everyday experience at the station, and ignoring the cut-rate bus company won’t help with crowding. The same article suggests no change to the great room, which I think is unfortunate. Perhaps they should fly to Denver and see that Union Station’s great room – a room full of people talking, laughing, eating, a room full of life. Chicago’s great room may have historical value, but it only vaguely flickers with the kind of life that a public space like this should host on a daily basis.